I first heard about Little Miss Delicious from my friend Julie, which won’t be a surprise to any of you who know Julie! 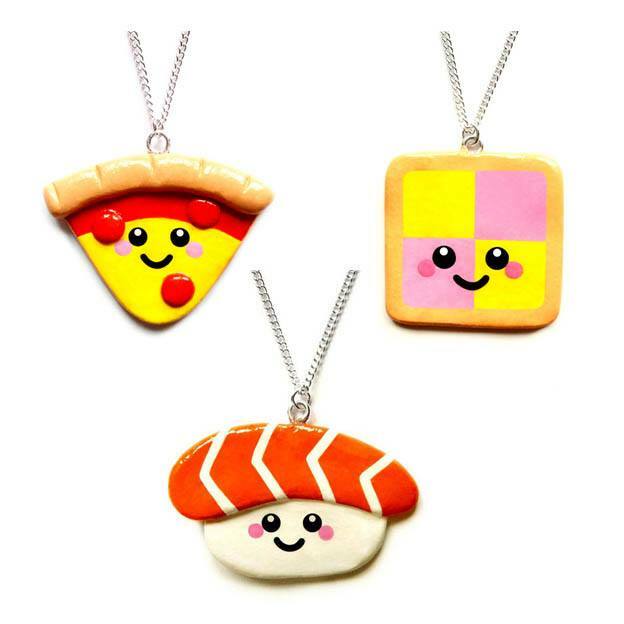 Little Miss Delicious is an independent online shop that specialises in handmade jewellery made from polymer clay, as well as accessories and apparel that are so adorably kawaii. 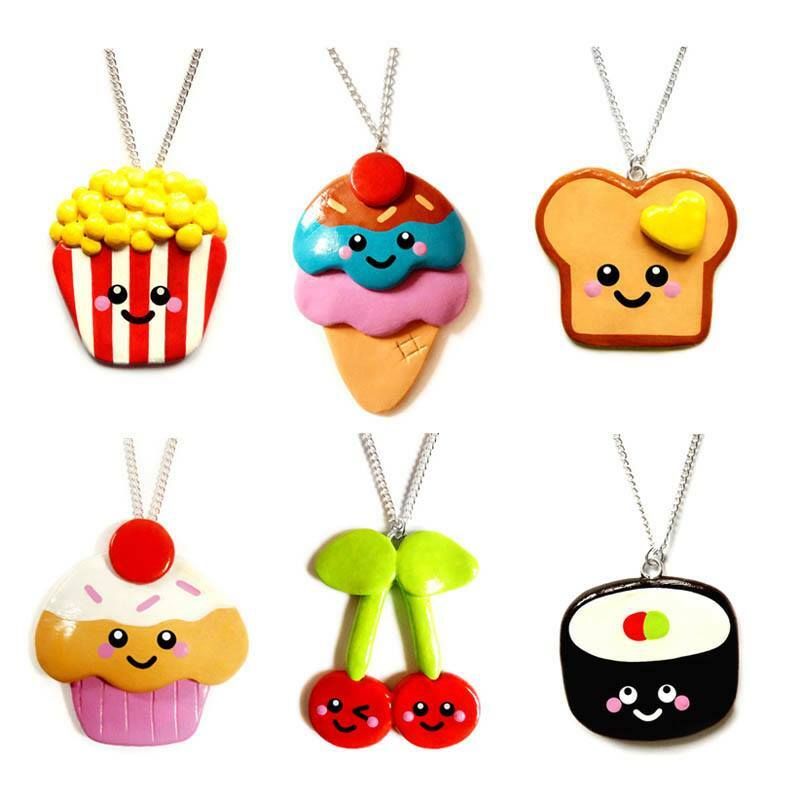 I’m talking pizza slices with cute little faces on, or a charm bracelet with brightly coloured donut charms (WITH SPRINKLES! ), I could go on and on and on! How did Little Miss Delicious come to exist? I first started making jewellery when I was 15, but back then it was very different to the designs now! As soon as I discovered polymer clay I fell in love. The freedom to be able to create something completely unique from a lump of brown clay was just amazing, and I haven’t looked back since. At first I made items for myself and friends, but soon other people started asking where they could purchase my designs so I set up an online shop, and it’s continued to grow ever since! 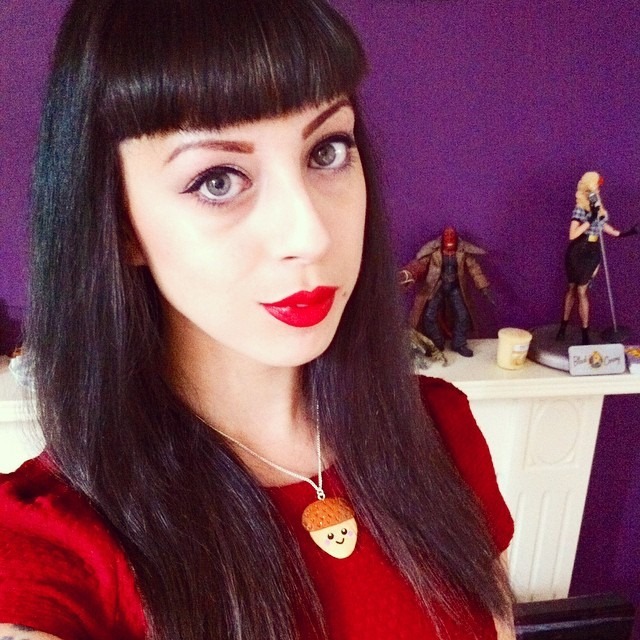 By the time I was ready to leave university, I was lucky enough that my business was already at a point where I was able to go full time straight away, and it’s been my full time job for 5 years now! How do you manage to fit everything into your working week! Could you give us a little peek into a day in the life of LMD? I’m honestly not sure haha! My average day is very hectic, and tends to involve working at least 15-18 hours a day. My day tends to start with replying to emails, updating social media and scheduling posts for the rest of the day. As well as running LMD, I also run social media for other brands too, so this can take anywhere from half an hour to 3 hours depending on how much online work I have to do that day. Then I spend the afternoon either sculpting, painting or sewing depending on what is on the schedule for that day (my days are planned out with very in depth to do lists and schedules to keep me organised!). I package and post orders around 4pm, then once I get back from the post office it’s right back in my studio sculpting, painting or sewing until it’s time for bed! I give myself a hour after work to relax before I sleep, a few hours to cook dinner and do any cleaning, as well as little breaks through the day for kitty cuddles! What’s the main challenge about being your own boss? I’ve definitely found it a struggle to get the right work/life balance. It can be very easy to forget when to stop working and neglect everything else, so I’ve started trying to take at least one day a week off – but it’s so hard when you love your job and just want to work 24/7! 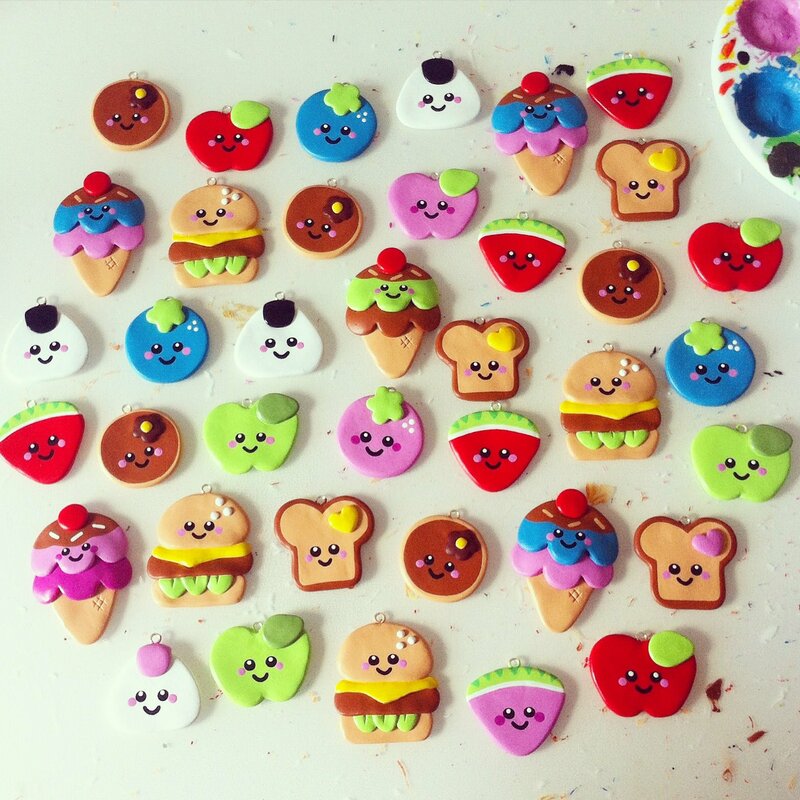 You’ve created so many tasty little characters, do you have a favourite? That’s such a hard question! I love all of them, but I think the Double Scoop Ice Cream and Home Slice Pizza’s are definitely up there as favourites. They were some of the first things I ever made, and although they’ve changed drastically over time they’ve still got a special place in my heart. An actual battenberg necklace ladies and gentlemen! Do you have any advice for creative crafters out there who want to start up their own business? The first step is to make sure it is something you really want to do and something you are very passionate about as it’s very difficult to establish a stable income, so be prepared for some hard times, even if you have lots of funding right from the start. One of the most important pieces of advice I think anyone can give to someone thinking about starting their own craft related business is to create something original. Find a way to put your own signature mark on it. For me, I find the way I paint the faces on my pieces and the colours I use help identify them as my brand, and I can’t stress how important it is to be able to create something identifiable. I also make sure I do a quick search online when I have new ideas to make sure there isn’t anything similar already out there, and if there it is means I can take appropriate measures to make sure it’s as different as possible, or change my idea completely. The fashion world and many other business areas are extremely competitive, with new brands popping up all the time, but if you can bring something new to the table then you’ll go far! Starting your own business is not easy, there is a lot of hard work and long hours involved. However, the more work you put it, the stronger your business will be, so it all pays off! I’ve done various blog posts with lots of tips for small businesses, which cover different areas such as taxes, social media and pricing. Definitely worth a look if you’re thinking about setting up your own business – FAQs. 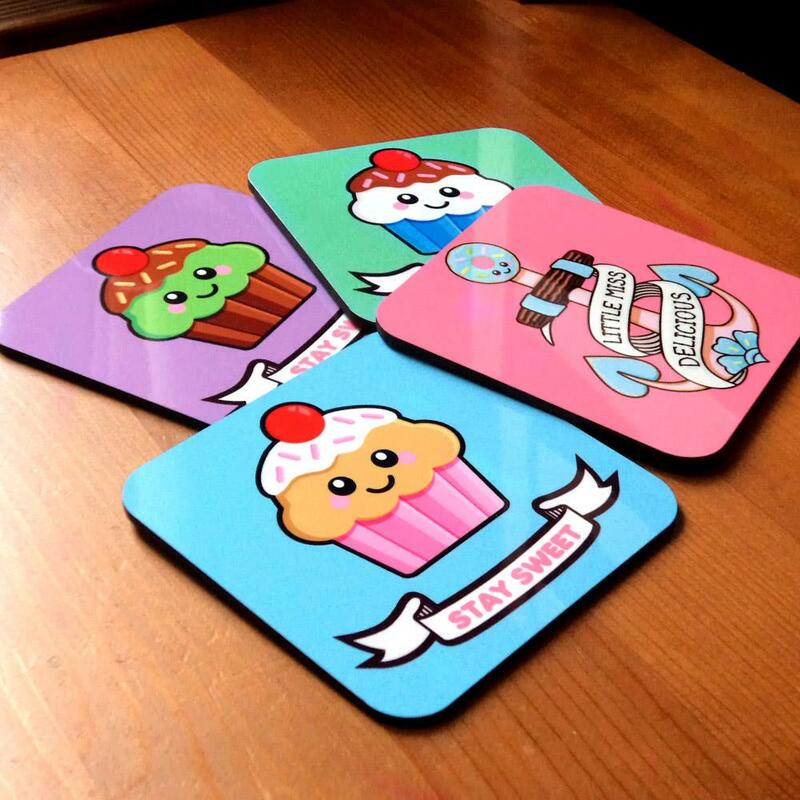 In actual love with these kawaii coasters! Lots and lots of thank you’s to Maxine for featuring, hope you’ve enjoyed reading. Love this! Definitely agree with struggling to find a work/life balance – her designs are SO cool! I love them all. Love love love LMD!!! I mean, food with cute faces man!